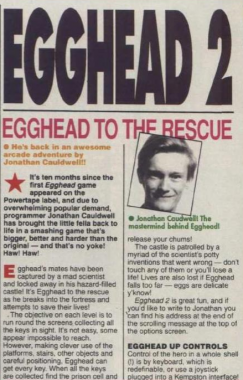 Jonathan Cauldwell is a software engineer from Nottingham who started writing games for ZX Spectrum magazine cover tapes in the late 1980s. He has worked in software for over twenty years, working on everything from automated warehouse control systems to one-armed bandits. 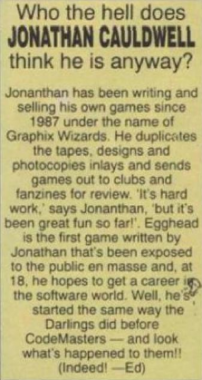 A Spectrum enthusiast and a member of Mensa, Jonathan has spent thirty years programming the ZX Spectrum and has written more games for the machine than any other author, often to critical acclaim. He is the author of “How to Write Spectrum Games”. My earliest memories are of simple video games in amusement arcades in Ingoldmells and the Commodore International Conference Centre in Nottingham (now demolished) back in the 1970s. These were monochrome affairs like Pong and Sprint. There was even a plan-view green screen driving game with a sit-down cabinet, but I haven’t a clue what it was called. Pong was 2p per game, the others were 5p but I seldom had any cash to hand so most of the time I’d just stand there watching others play the games. I’d only ever seen TV programmes on screens before, so the idea you could interact with something on screen was magical. You could be your own film star, winning Wimbledon or a Formula 1 Grand Prix. It was new and exciting. It seemed like an exciting new avenue to explore. It was the early 1980s and I remember thinking that those responsible for other forms of mass entertainment, such as pop musicians and film stars, were famous for what they did and that those who developed computer games might one day become just as famous. Sadly, it never turned out like that! 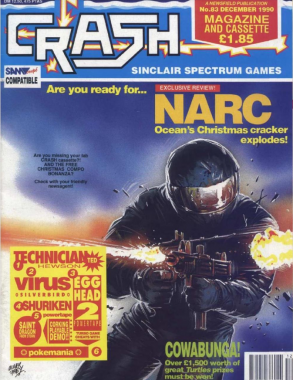 More importantly, I saw the games other people were writing for the Spectrum and thought it would be great if I could write games that were as much fun. I wanted to create something I could play and enjoy myself but which would also entertain others. I soon learned that entertaining others was the easy bit. It’s almost impossible to create a game with which to entertain yourself! Back in the day I used an assembler called LERM Z80 Toolkit to write the code and an art program entitled The Artist 2 to draw the graphics. I’d write my own custom editors for screens, music or other data. Nowadays I use the SJAsmPlus cross-assembler for the PC and the SevenUp graphics editor. I usually ask a very talented musician by the name of Yerzmyey to do the music for me. I haven’t thought about that yet. Whatever it is, the game will be original or at least be a new twist on an old theme. I have plenty of ideas for game designs which is why you never see me undertaking a conversion. What other games have you made made? Ooh, dozens. Some of the more popular ones are the Egghead series, More Tea Vicar and Albatrossity. 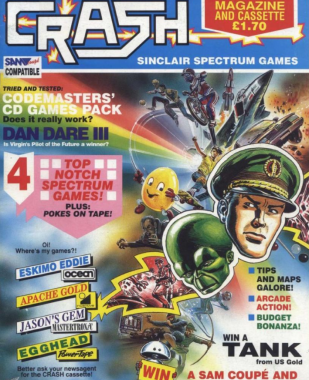 These days I’m probably best known for creating the Arcade Game Designer utility for the Spectrum and Amstrad CPC. I’ve lost count of the number of games that have been created with this tool. My favourite computer was my Amiga and console the Megadrive, do you have a favourite? The Spectrum, obviously. I had an Amiga towards the end of the 1980s too, which was excellent whenever I wanted a quick go on Kick Off or Menace. That would have to be the 1983 game, Halls of the Things. There’s no sound, the graphics are terrible and the 19 control keys are awkward. Despite these drawbacks, the playability knocks spots off anything else I’ve ever played. Do you still game on the current consoles? If so. which is your favourite game? I don’t own any consoles, but still enjoy the occasional game of Civilization IV on the development laptop. That is a very difficult question to answer, because even terrible games usually have many things going for them, it’s just that they are stomped all over by the game’s other failings. It takes a very special game designer or developer to conceal a game with many good points to such a degree that it becomes unplayable. I would argue that that is a far greater crime than a meritless abomination put together by a novice in his bedroom over the course of a weekend. So far that reason, I’d like to name The Great Space Race for the Spectrum.